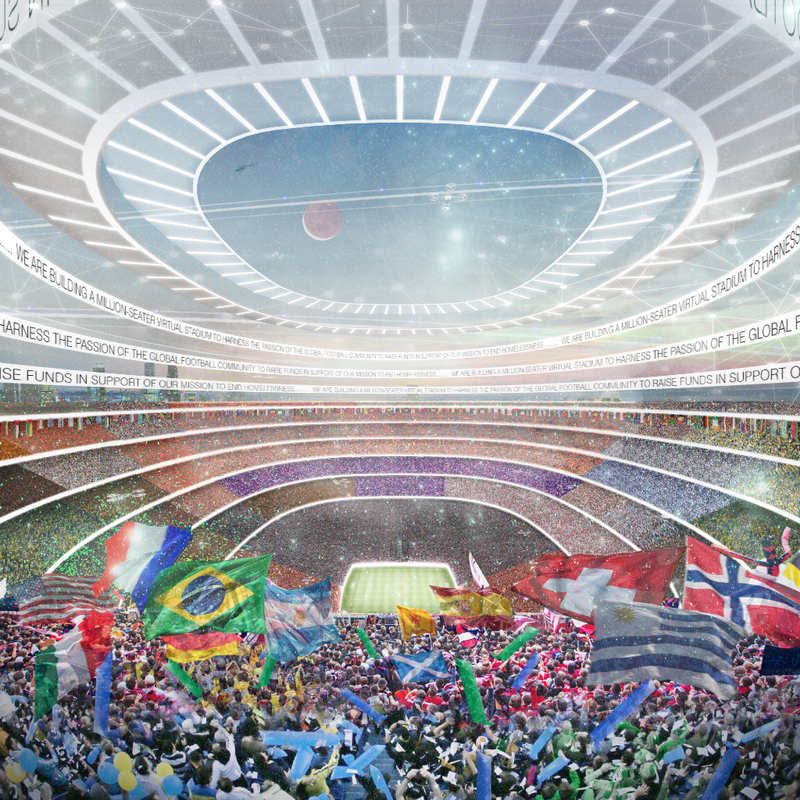 The Million Seater Stadium will be a virtual venue acting as a hub for football-related charity projects helping to fight homelessness. Inspired by Mel Young’s experience as a social entrepreneur and with the Homeless World Cup, we will harness the power of football to create positive change in the world. Fans will gather in this amazing stadium to watch live events and buy exclusive merchandise and contents funding six different charity projects with the goal to #EndHomelessness.